View More In Cups, Mugs & Saucers - Page 4. Perfect sizes for coffee, tea, cocoa and cereal. For decorating purposes, make a personalized gift, DIY project, Christmas project, wedding dinner. The problem with other poor mugs is fragile. Our product solves this problem! Why? That's because our product is made of high-quality porcelain which means smooth sturdy steady and durable. Never suffer waste your money again! 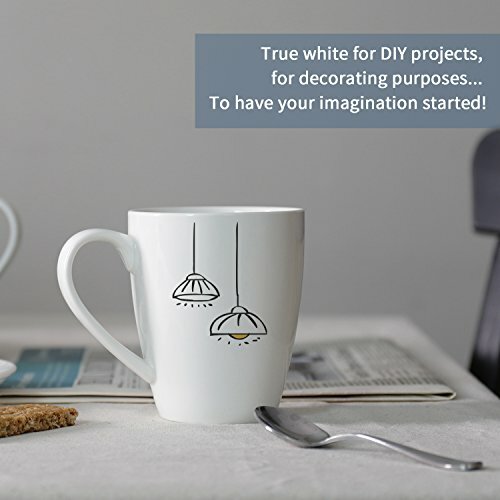 A pleasant mug gives harmonious sense and is an eye catching on the kitchen counter, brighten up the kitchen. Bringing you not only a tasty drinks, but also a pleasure. 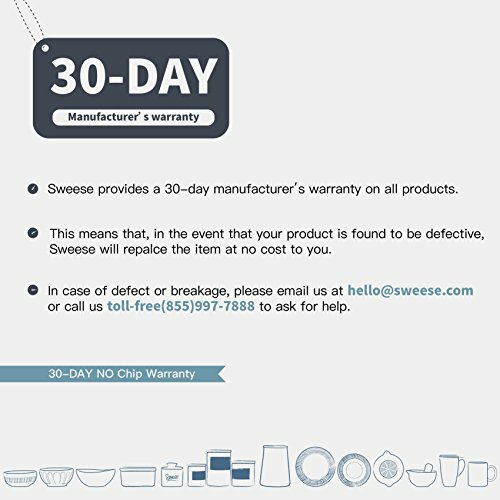 All our porcelain products come with a standard manufacturer No-Chip Warranty for a period of 30 days from the date of purchase. Sweese will replace or provide equivalent substitutes one-for-one at no charge for any piece found to be defective. We want to provide a superior kitchen experience with our products you love. As such, if you aren't satisfied with your purchase, contact us within 30 days, and we'll send you a free replacement or refund. You're protected by a no-hassle and peace of mind guarantee! 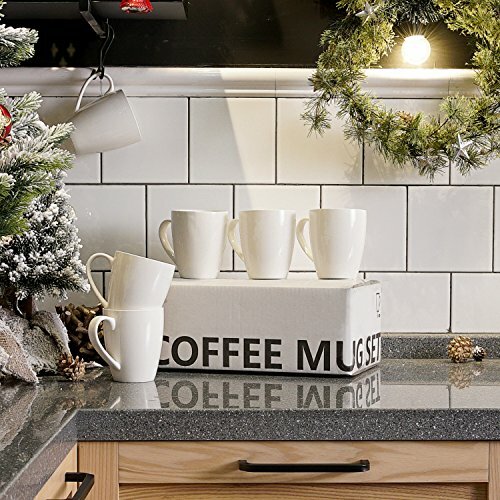 Add the Sweese Porcelain Mugs to your cart now! 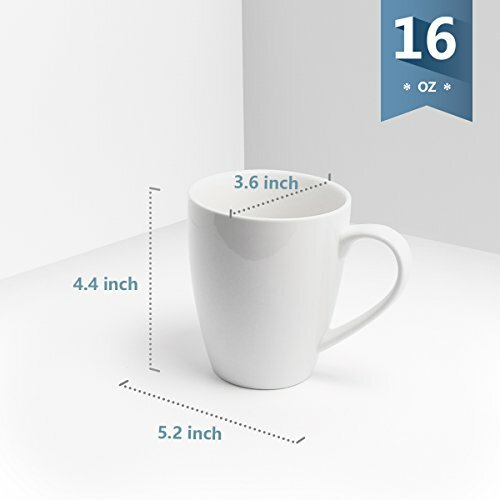 WELL MADE - So simple but elegant design, the mug set are PROUDLY FDA approved, smart size with 16oz, right weight, sturdy, set of 6. 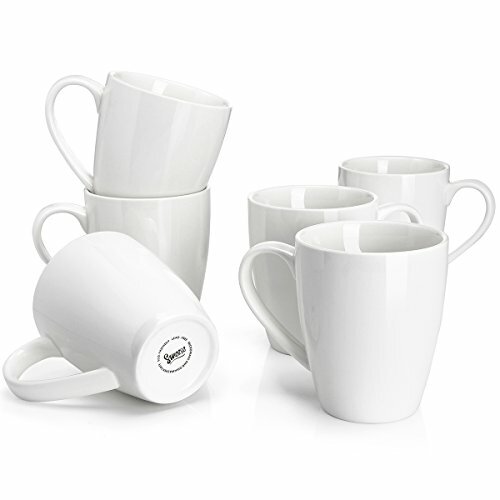 If you are looking for good basic mug set, then your search is over! That's because our product is commercial grade quality. ENJOY YOUR MUGS - There's plenty of room between the handle and cup itself, with the well-shade handle, so comfortable in the hand that makes the tea&coffee taste even better. MULTI PURPOSES - Perfect for coffee, tea, cocoa and cereal. True white to go with nearly any table setting, you can just give it away as presents, make personalized gifts by filling them with candy, pens etc, for DIY projects, for decorating purposes... To have your imagination started! 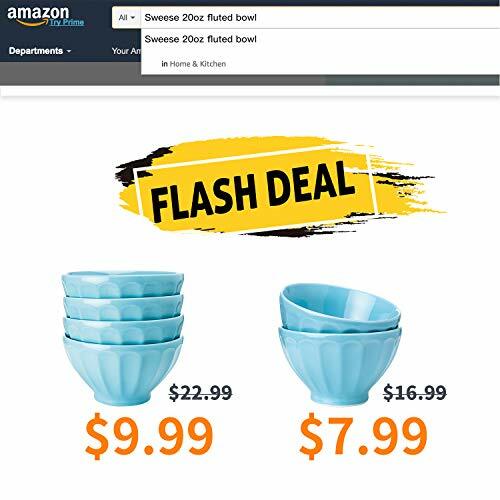 PRO-GRADE PORCELAIN & SAFE FOR DISHWASHER, MICROWAVE, OVEN AND FREEZER - These Sweese mugs are PROUDLY FDA approved and made of durable porcelain, a type of premium LEAD-FREE and NON-TOXIC ceramic, chip-resistant and more sturdy than stoneware. Creation of Sweese ensures you get what you pay for, BEWARE OF CHEAP KNOCK OFFS!